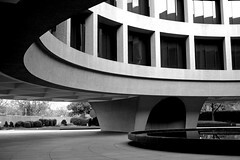 Hirshhorn After Hours Tickets Available! Don’t miss out! $18 gets you in to Hirshhorn After Hours, with a cash bar, guided tours, awesome DJs, and of course, the Museum’s extensive modern art and sculpture collection. This is one of DC’s hottest tickets and it always, always, always sells out, so mark your calendar for July 24th from 8pm to midnight, and get your ticket. Thanks much to DC Concierge for reminding us of this one over Twitter.